Another adviser, a GOP operative consulted by Team Romney, had an even more radical idea than a bold agenda. This adviser, who had coached Sen. John McCain in 2008, wanted to double down on the campaign’s earlier inclination to let Romney embrace his fortune for the sake of authenticity, though in a less off-putting and awkward fashion — more self-made man, less Richie Rich. Ouch. What makes this all the more devastating is that it is echoing exactly the line that David Axelrod and David Plouffe started using against Romney a few months ago—that he “lacks a core.” At the time, the Romney camp declared that this constituted a vicious personal attack. Now, apparently at least one Romney adviser agrees with the Davids. Tagg Romney, the candidate’s oldest son, articulated a side of his father that the campaign has struggled to portray. Tagg knows his dad as well as anyone, so I’m inclined to think there’s something to this, that Mitt the Fixer has gotten lost somewhat in the mix—though it’s worth noting that it's not just campaign artifice that’s doing that, but also Romney’s shrill Etch-a-Sketch conservative shtick. I also agree that there are moments when Romney can be more appealing than others. In the televised debates, for instance, he loses some of the saccharine condescension that make his stump speeches so excruciating—perhaps because he is then among equals, or at least near-equals (his opponents and the moderators), he lets himself be the attentive, sharp-minded, competitive man he is, sparring freely with the others, rather than lapsing into the awful, America the Beautiful patronizing that he apparently feels is required when confronted with regular people. This is, after all, a man who decided that he was going to devote at least the first half of his adult life to making an enormous pile of money. Even after the Kennedy race [in 1994], which he later said had only heightened his interest in politics, Romney went right back to Bain Capital, for what would prove to be his most lucrative years of all. It is perhaps uncouth to say so, but does not Romney’s fixation on a line of work that amounted to high-stakes data-crunching and paper-shuffling suggest a rather constricted view of the world and a shallow sense of greater purpose? John McCain and George W. Bush didn’t need some Svengali to release their authentic selves from within; it’s a sign of how much we’ve inflated the role of the campaign strategist (Rove, Salter, Schmidt) that we imagine that such a trick could yet be performed on Romney. 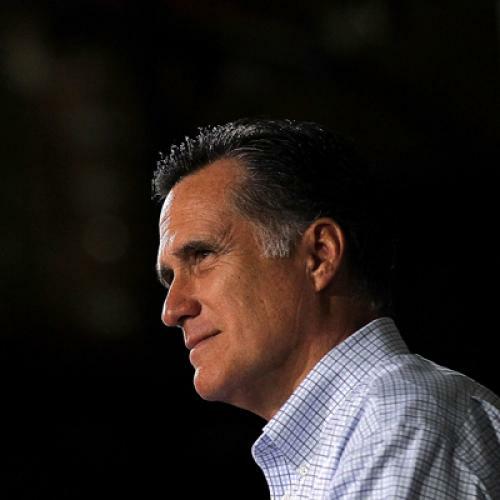 It really may be time to accept that in Romney’s case, the cliche applies: what you see is what you get. Who knows, maybe the next breathless Politico e-book installment will bring Romney making that very point in a backroom confrontation over chocolate milks. Lay off guys. I yam what I yam.